This past year, Fairhaven engaged in a twelve-week series on discipleship. 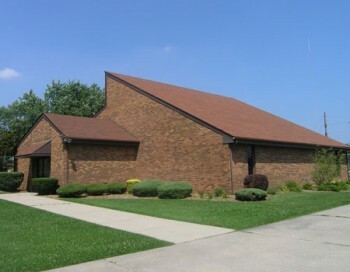 The series was started by pastor Keith Reynolds, who came to Fairhaven a year ago following a two year period in which the church had interim leadership. After a time of getting to know the members of his congregation and building relationships, Keith felt led to focus on discipleship and our formation as followers of Jesus. He says that the prompting toward discipleship emerged out of his own life’s convictions. Coming from a non-Christian background, he recognized the need to continually perfect our faith. The base text for the series was Matthew 28:19 in which Jesus said, “Therefore go and make disciples of all nations, baptizing them in the name of the Father and the Son and the Holy Spirit.” Another important text was Philippians 1:6, where God promises that he will complete the work he began in us. Out of the series, a mid-week bible study developed in homes for further study of discipleship. Alongside Anabaptist theology, church members studied some of the teachings found in Dallas Willard’s Renovation of the Heart. Keith says the response he has gotten is a general sense of excitement about the series. In addition to study and personal reflection, the congregation has also begun to have intentional meals open to anyone in or outside of the church. Sometimes they meet in homes, or sometimes in coffee shops. The desire is to more actively engage the community. While salvation is instantaneous, Keith points out, sanctification is a process. We do not become disciples by mere association or confession. Rather it is an ongoing process that involves engaging in spiritual disciplines, fellowship in community, and service to others. Often there is either an overemphasis on personal piety through the spiritual disciplines, or on giving of ourselves for the needy and broken to the exclusion of personal development. It is finding a balance between the two that is important.